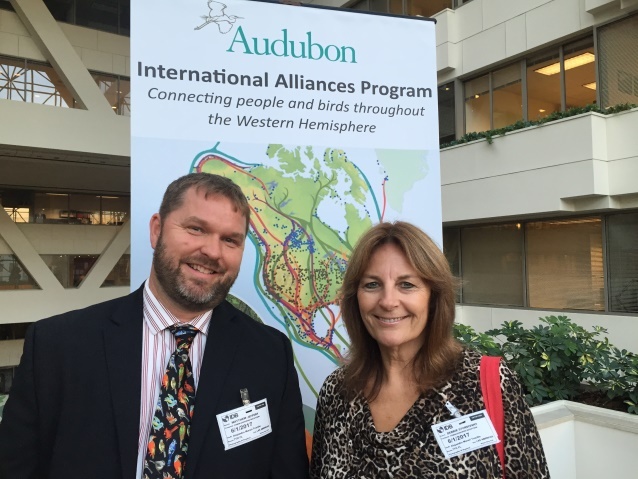 The 3-day event that brought together multi-country representatives to Washington last week had an important message: Birds Mean Business. 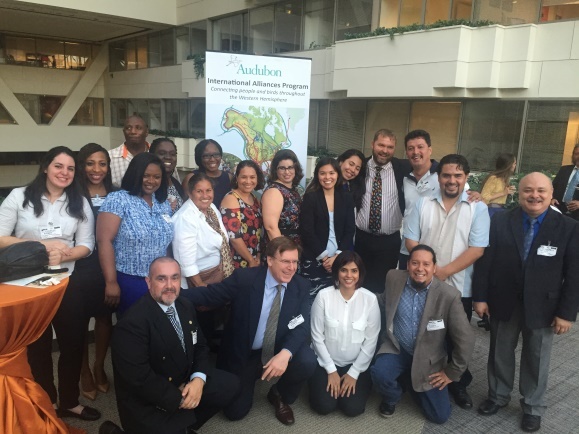 The meetings capped the completion of a $2.6 million project between National Audubon Society and the Inter-American Development Bank (IDB) to foster high-value sustainable birding tourism projects in the Americas. Holbrook Travel was recognized as a key provider in the implementation of the initiative that has two critical components: 1) providing specific birding training courses for local guides and park rangers with ongoing curricula for certification programs; and 2) engagement with local and international travel partners to market the destinations to the bird watching and nature loving public. Flyway Expeditions was developed by Holbrook this past year in partnership with Audubon to leverage the bird-watching market to create sustainable jobs in communities while simultaneously protecting biodiversity and natural resources. In addition to leaders from the five targeted countries (Belize, Guatemala, Bahamas, Colombia, and Paraguay), several graduates of the guide certification were on hand to share their excitement for bringing more business to their communities. Holbrook’s Debbie Sturdivant Jordan reunited with local guides and community members from her recent visit to Belize and Guatemala and announced several U.S. birding organizations that are supporting the initiative with trips this coming year. The event’s workshops included sharing lessons learned from the project and related improvements that could be made to the project model and paths forward for continuing the initiative. Holbrook Travel’s marketing/communications internship is a unique opportunity for students to experience the travel industry from a communications perspective. Film screening: "The Mystical Migration of the Monarch"